SWITZERLAND, Zurich — As widely reported, JADE HELM 15 is a U.S. military training exercise currently taking place in Arizona, California, Colorado, Nevada, New Mexico, Texas and Utah from July 15, 2015, until to September 15, 2015. The unprecedented war game was created and funded by the CIA in Switzerland in order to spark a civil war in America. It is imperative to note that JADE HELM 15 is a direct result of Truther.org foiling hundreds of state-sponsoed terror plots over the last 3-years which by themselves would have led to all that JADE HELM 15 is intended to bring about, namely terror attacks, gun confiscation, martial law, civil war, an Obama dictatorship and the opening of FEMA concentration camps. Since the Swiss CIA is almost out of time in respect to an Obama dictatorship (the 2016 U.S. Presidential Campaign is already a year behind schedule, they must create a national or international crisis prior to September 15, 2015 in order to suspend the 2016 election. In short, JADE HELM 15 15 is Obama’s last stand. Consequently, many of the U.S. and NATO Special Forces which have been terrorizing the Middle East dressed up like ISIS will now be deployed in JADE HELM 15 by the Obama administration in what U.S. military officials are describing as a “giant war game spread across the Southwest”. The U.S. Army’s Special Operations Command stated that “the size and scope of Jade Helm sets this one apart”, while the LA Times reported that JADE HELM 15 is “one of the biggest peacetime military exercises in six decades”. Russia Today went as far as to say that JADE HELM 15 is the “biggest such exercise ever attempted inside U.S. borders”. According to the Pentagon, JADE HELM 15 will give soldiers an opportunity to practice “unconventional warfare”. Translation: JADE HELM 15 is cover for a new American civil war which will predictably be sparked in one of the participating states, namely Texas. In order to add even more mystery to JADE HELM 15, the Washington Post published a report on July 8, 2015, entitled “Jade Helm 15, Heavily Scrutinized Military Exercise, to Open Without Media Access” which stated that the drills will “open without any media allowed to observe it”, and that “Embedded reporters won’t be permitted at any point during the exercise”. Lastly, JADE HELM 15 is a classic example of the Hegelian Dialectic which is usually presented in a three dialectical stages of development: a) a thesis, giving rise to its reaction; b) an antithesis, which contradicts or negates the thesis; and c) the tension between the two being resolved by means of a synthesis. 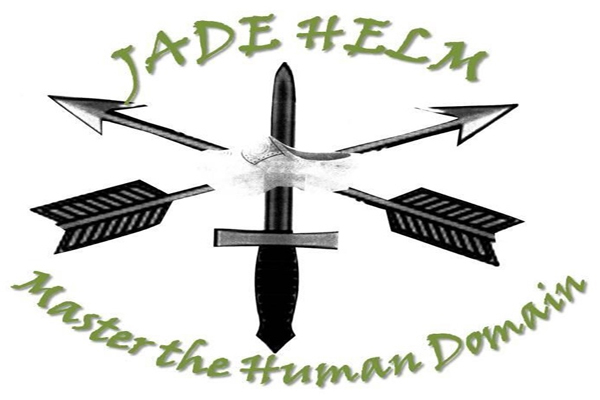 The logo of JADE HELM 15 features two arrows superimposed upon an upright sword along with the words “Master the Human Domain”. The arrows form an “X” symbol while the arrows along with the sword form an “Ж” symbol. The “X” symbol is the 15th number/letter in the Roman Score (i.e., the Roman alphabet) and the 24th letter in the modern English alphabet. The “X” symbol, which was likely derived from the Wheel of Fortuna, tends to doubles as the Jolly Rodger (i.e., a pirate’s flag), and is internationally recognized as a symbol of death. In other words, the creators of JADE HELM 15 have bad intentions. The “Ж” symbol (i.e., the “Chi” or “CH” symbol) is the 6th number/letter in the Roman Score and does not exist in in the modern English alphabet. The “Ж” symbol tends to double as the Roman Eagle as depicted in the original flag of the Roman Empire and the coat of arms of the Swiss canton known as Geneva, home to the United Nations. The “Ж” symbol is most commonly found on ambulances which belong to hospitals run by the Hospitallers which coincidentally founded Switzerland, home to the CIA. The logo of JADE HELM 15 also features a Dutch wooden shoe which, according to the Washington Post, is “meant to represent anti-Nazi resistance in World War II Europe”. Consequently, it’s highly likely that Texans which take up arms against JADE HELM 15 participants will allegedly have neo-Nazi or white supremacist ties. The media will predictably state that their hatred of President Obama, an African-American, was the driving motive behind the violence. The notion that anti-JADE HELM 15 citizens will be labeled as racist was essentially confirmed by a Washington Post report from July 4, 2015, which quoted Mark Peterson, a black preacher, who stated that he was “shocked” by what he views as “racist undertones in much of the objection to Jade Helm”, and that “If it were any other president but Obama, it would not be an issue”. 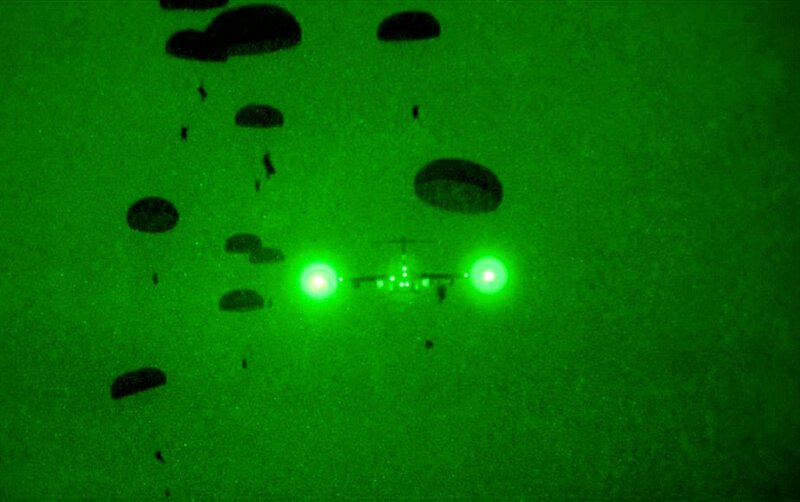 The JADE HELM 15 exercise will reportedly be run by United States Special Operations Command (USSOCOM), featuring a total of 1,200 troops, including but not limited to: 82nd Airborne Division, Air Force, Army, Coast Guard, Navy, US Air Force Special Operations Command, US Army Special Forces Command (Green Berets), USMC Marine Expeditionary, USMC Marine Special Operations Command Units and US Navy SEALS. According to CNN, JADE HELM 15 will reportedly consist of “Army Green Berets, but also a small group of Navy SEALS and Air Force special operations troops as well as conventional Army infantry”. Lieutenant Colonel Mark Lastoria, a spokesman for Army Special Operations Command, stated that JADE HELM 15 will include “about 200 Special Operations forces and 300 additional support personnel for most of the exercise. Seven hundred members of the Army’s 82nd Airborne Division also will travel to Texas and train as part of Jade Helm for about five days in August”. Lastoria also stated that the “exercise will be coordinated and led from Eglin Air Force Base in western Florida, where the Army’s 7th Special Forces Group is based. Parts of it will occur at Camp Bullis and Camp Swift in Texas, Camp Shelby in Mississippi and Camp Beauregard in Louisiana”. JADE HELM 15 will also involve numerous CIA-funded agencies, namely private corporations and what the U.S. military calls “Interagency Partners”. These include but are not limited to: FBI, Infowars, Governorship of Texas, State of Texas, STRATFOR and Wal-Mart. 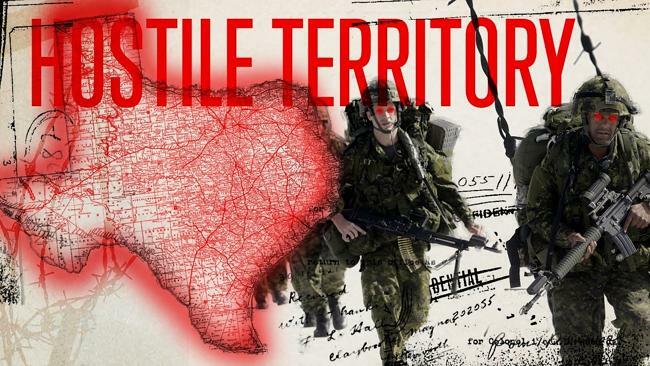 Given the close proximity of the drills in respect to Austin, Texas, home of Alex Jones, Infowars, and STRATFOR, a private intelligence agency, it can be deduced that the these private intelligence agencies will be intimately involved in JADE HELM 15. This notion is confirmed by the fact that said organizations are pushing JADE HELM 15 propaganda on the ground in real time. As depicted in the Truther.org report entitled “10 Reasons Why Alex Jones Should Be Tried For Treason”, the goal of Alex Jones is to get America to destroy herself the same way that Russia was destroyed under Stalin. This is done by first dividing and then collapsing society upon itself by baiting Americans into a violent revolution against their own police and military. The Texas State Guard is a traditional militia that numbers 1,900 that cannot be recruited into U.S. Army during times of war. According to a May 6, 2015, report from the New York Times, Texas Governor Greg Abbott has issued a directive to the Texas State Guard to keep watch over JADE HELM 15. In his directive to Major General Gerald Betty, commander of the Texas State Guard, Mr. Abbott wrote that he wanted JADE HELM 15 monitored because it was “important that Texans know their safety, constitutional rights, private property rights and civil liberties will not be infringed”. Betty was also ordered to give Abbott “regular updates” on the “progress and safety of the operation.” Consequently, when Texans have their rights infringed upon during the exercise, the Texas State Guard will likely lead the charge against JADE HELM 15 soldiers. It is imperative to note that aside from the gun-toting citizenry of Texas, all of the JADE HELM 15 actors are under command and control of the CIA in Switzerland, the Texas State Guard included. Consequently, said actors will be played off against each other in order to spark the desired outcome of JADE HELM 15, namely civil war. Lastly, on May 7, 2015, Terry McAuliffe, the Democratic Governor of Virginia, called Abbott’s mobilizing of the Texas State Guard “one of the dumbest things I have ever heard”. The comments were designed to enrage Texans just prior to JADE HELM 15 and the chaos that is slated to ensue. The state-sponsored militia group known as Oath Keepers will likely play a vital role in JADE HELM 15, mainly due to the fact they advocate that its members (consisting of current and former U.S. military and law enforcement personal) disobey any orders that they are given if they believe they violate the Constitution of the United States. Back on May 5, 2015, CNN published a report which stated that websites like Oath Keepers’ claim that “The Internet is abuzz with speculation these exercises are not designed to prepare U.S. troops for overseas operations, but are actually designed to prepare U.S. troops for aggressive operations against American citizenry” Consequently, it’s highly likely that Oath Keepers will be blamed for domestic terror attacks during JADE HELM 15, namely against its soldiers and equipment. Similar to Oath Keepers, it’s highly likely that members of “Operation Counter Jade Helm” will be the initial combatants in what will eventually become a civil war in America. Considering that Texas is home to 1.7 million military veterans, it’s the perfect location to spark a civil war, hence creation of JADE HELM 15. Once the fighting starts, members of “Operation Counter Jade Helm” will predictably be joined by a number of people from other groups which have historically been critical of the U.S. government, including but not limited to: 9/11 Truthers, Anonymous members, anti-abortion activists, Bundy Ranch militiamen, Confederates, conspiracy theorists, Constitutionalists, domestic terrorists, Gun Rights advocates, Infowarriors, KKK members, Libertarians, militia men, Neo-Nazis, Oathkeepers, Open-Carry activists, Patriots, Republicans, Ron Paul supporters, Sovereign Citizens, Tea Party members, and white supremacists). In a DHS report from February 5, 2015, entitled “Sovereign Citizen Extremist Ideology Will Drive Violence at Home, During Travel, and at Government Facilities”, it was revealed that “Sovereign Citizen Extremist” (SCE) violence in 2015 “will occur most frequently during routine law encounters at a suspect’s home”, or when the U.S. government stages JADE HELM 15 in Texas’ backyard. The report goes on to state that SCE violence will “continue to occur most frequently at SCE homes, during routine traffic stops, or at government offices due to their perception that their individual rights are being violated”, something which JADE HELM 15 clearly does. In a recent interview, Texas Senator Ted Cruz stated that he understands the concerns about JADE HELM 15 given the fact that Obama has “disrespecting the liberty of its citizens” for over 6-years. Nevertheless, White House press secretary Josh Earnest stated that “In no way will the constitutional rights or civil liberties of any American citizen be infringed upon while this exercise is being conducted”, adding that “The civil liberties and constitutional rights will be in no way affected by this exercise”. Translation: constitutional rights and civil liberties will be infringed upon. SCEs allegedly “perceive that law enforcement efforts and judicial actions infringe upon key personal rights and individual sovereignty such as the right to travel”. In the event that JADE HELM 15 results in martial law, Sovereign Citizens will be denied the right to travel, sparking violence that will likely lead to civil war. The DHS report also states that SCEs “believe they personally can ignore laws and act according to their own sovereign citizen ideology”. Consequently, when SCEs perceive government representatives directly infringing on their rights and freedoms in an irrevocable way, “SCEs resort to violence”. The report also states that “Some domestic terrorists may combine elements of SCE ideologies with other, more aggressive violent anti-government perspectives such as militia extremism”. In what appears to be pre-JADE HELM 15 domestic terror programing, it was reported on June 24, 2015, that so-called right-wing terrorists are twice as likely to kill Americans than Muslim terrorists. In a New York Times report from July 12, 2015, entitled “Memories of Waco Siege Continue to Fuel Far-Right Groups”, it was reported that “On the eve of Jade Helm 15, the government has yet to find firm footing in how to deal with those who take up arms in defiance of lawful authority. The report features Mike Vanderboegh, a so-called “prominent figure in the Patriot movement”, who is quoted as saying that “Waco can happen at any given time”, but that the “outcome will be different this time”. The report also states that “…the specter of Waco has not faded” and that “Right-wing extremists regularly invoke it as a defining moment”. In other words, militiamen angered by the Waco Siege will take matters into their own hands during JADE HELM 15, most likely attacking government-related entities. In the event that civil war erupts during JADE HELM 15, it will likely be a redux of the war game Robin Sage which is the “culmination exercise for soldiers striving to earn the coveted Green Beret”. During Robin Sage, the Green Berets organize a guerrilla force that makes an “airborne infiltration into the fictitious country of “Pineland” in order to overthrown the fictional nation. Once on the ground, they “make contact with the guerrilla forces and begin Robin Sage. Soldiers will then “begin their task of training, advising, and assisting the guerrillas”. Said training will “educate the guerrillas in various specialties, including weapons, communications, medical, and demolitions”. The training is designed to “enable the guerrillas to begin liberating their country from oppression”. In respect to JADE HELM 15, the “guerillas” will predictably be Texans, liberating their state from an oppressive Obama administration. The “airborne infiltration” will likely be executed by the 700 members of the Army’s 82nd Airborne Division who will travel to Texas during JADE HELM 15. These Special Forces will then train and organize local militiamen in Texas and elsewhere in order to carry out attacks against the U.S. government-related entities using demolition explosives. In a Houston Chronicle report from May 2, 2015, entitled “Jade Helm and Robin Sage: A Tale of Two Military Exercises”, it was revealed that “It can be safely assumed that many of the U.S. special operating forces who will be taking part in Jade Helm 15 also went through Robin Sage at some point in their military career.” In other words, Robin Sage was practice for JADE HELM 15 which will result in a coup of sorts, most likely in Texas. Lastly, in a Washington Post report from July 4, 2015, it was reported that “Jade Helm is intended to simulate U.S. Special Forces helping resistance fighters restore democracy in an imaginary country”. In other words, JADE HELM 15 is the real-life version of Robin Sage. In a Houston Chronicle report from July 10, 2015, entitled “Texans Organize ‘Operation Counter Jade Helm’ to Keep an Eye on the Federal Troops”, it was reported that “When the troops land in Texas for Operation Jade Helm next week, someone will be waiting for them”. In the event that violence occurred during JADE HELM 15, members of Operation Counter Jade Helm will likely be fingered. The operation was reportedly created by Pete Lanteri, a former U.S. Marine who is admittedly working with “former Army intelligence workers”. In other words, Operation Counter Jade Helm is being funded and orchestrated by the U.S. Army, at the behest of the CIA in Switzerland. According to the report, “Hundreds of people have organized a “Counter Jade Helm” surveillance operation across the Southwestern states and in an effort to keep an eye on the contentious military drill that’s sparked many suspicious of Uncle Sam’s intentions”. In Texas, Operation Counter Jade Helm is being led by Eric Johnson, a former sheriff who stated that “If a team member sees two Humvees full of soldiers driving through town, they’re going to follow them” and “they’re going to radio back their ultimate location”. Johnston also stated that “there’s a strict no-camouflage policy to avoid the appearance of a more radical group, and they’ll all be unarmed”. Translation: armed militiamen in camouflage will follow and attack JADE HELM 15 participants, sparking a civil war in Texas. Since one of Johnston’s men is a licensed pilot who is planning “surveillance flights with his personal aircraft”, 9/11-style attacks on U.S. troops and government-related entitled are expected. According to a Guardian report from July 13, 2015, entitled “Texans Monitor Jade Helm Military Training Amid Fears of Government Plot”, the “Counter Jade Helm also plans missions in California, Utah, Nevada, Arizona, New Mexico, Louisiana, Mississippi and Florida”. Consequently, attacks on JADE HELM 15 participants will likely take place at multiple locations across America. Johnston is also quoted as saying, “We are not far-wing, “Oh God, arm ourselves, get in camouflage, block the streets…We are going to find a central location and set up an area and just cruise the streets, drive up and down the highway through Bastrop … most of us are legal concealed-carry folks, but we’re not going to be running up and down the street with automatic rifles”. Translation: right-wing members of Operation Counter Jade Helm will be in camouflage, blocking the streets with automatic rifles, naturally leading to bloody confrontations with the active duty soldier participating in JADE HELM 15. In the aftermath of attacks by members of Operation Counter Jade Helm, domestic terror cells will be formed as previously drilled for by Special Forces in the aforementioned war game Robin Sage. In a Houston Chronicle report from March 25, 2015, entitled “Covert Warfare Coming to Texas Sparks Some Fears of Federal Takeover”, Army Special Operation Command spokesman Mark Lastoria stated that soldiers would practice “emerging concepts in special operations warfare” within Texas.” Lastoria also stated that “soldiers will try to operate undetected amongst civilian populations in some towns and cities where residents will be advised to report any suspicious activity they notice as a means of testing the military’s effectiveness”. In other words, Special Forces will be incognito when carrying out their respective terror attacks. “They’re going to set up cells of people and test how well they’re able to move around without getting too noticed in the community,” stated Roy Boyd, chief deputy with the Victoria County Sheriff’s Office. “They’re testing their abilities to basically blend in with the local environment and not stand out and blow their cover”. Translation: so-called “cells of people” will morph into domestic terror cells that will wage war against JADE HELM 15 participants. 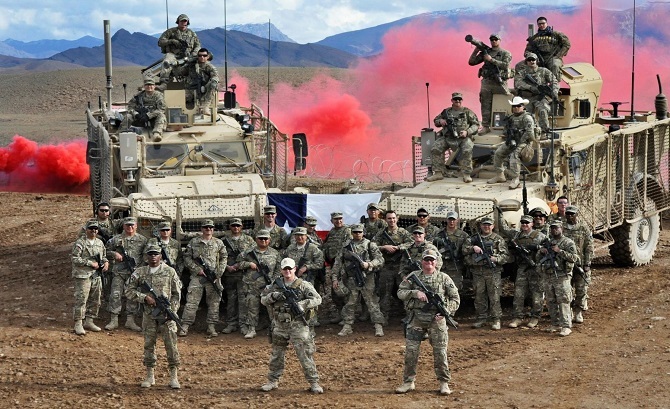 According to a document from the U.S. Army’s Special Operations Command entitled “Request to Conduct Realistic Military Training (RMT) JADE HELM 15”, over 1,200 soldiers will service members will participate in JADE HELM 15 including “opposing force personal”. The report also states that “Some individuals may conduct suspicious activities designed to prepare them for complex environments overseas” and that “some participants will be wearing civilian attire and driving civilian vehicles”. In other words, members of the opposing force will be dressed in civilian clothing while executing terror attacks against the soldiers participating in JADE HELM 15. This notion was confirmed by CNN on May 5, 2015, in a report which stated that “During the exercise some of the troops will be in civilian clothes, move in civilians vehicles and carry weapons with blank ammunition”. Lastly, in a Bloomberg report from April 30, 2015, it was revealed that “The individuals participating in the exercise won’t be traveling incognito. They’ll be wearing armbands”. Consequently, attacks by terrorists with armbands (most likely featuring racial symbols) are now expected. Prior to the conclusion of JADE HELM 15 on September 15, 2015, it’s highly likely that its participants will come under attack by so-called domestic terrorists living in Texas. According to a U.S. Army’s Special Operations Command report entitled “Request to Conduct Realistic Military Training (RMT) JADE HELM 15”, during the operation “some individuals may conduct suspicious activities” and “some participants will be wearing civilian attire and driving civilian vehicles”. Consequently, it’s highly likely that JADE HELM 15 participants will be purposely caught red-handed conducting suspicious terrorist-related activities. When confronted by local citizens, most of which will be heavily armed, a hot war between Texans and the soldiers of JADE HELM 15 will likely ensue. The precedent for mistaken attacks during U.S. Army war games was previously set in 2002 when a sheriff’s deputy in North Carolina shot and killed a Special Forces soldier during a Robin Sage exercise. The deputy claimed that the soldier and a civilian were acting as a guerilla (i.e., terrorist), drawing suspicion. The troops were reportedly carrying weapons with no ammunition and incorrectly assumed that the deputy was part of the role-playing exercise. The soldier was allegedly killed when he got in a fight with the deputy. Consequently, it’s highly likely that so-called “misunderstandings” and “misidentifications” between members of Operation Counter Jade Helm and JADE HELM 15 participants will lead to violence, likely sparking a civil war in Texas. Although the U.S. military has publically stated that JADE HELM 15 will “open without any media allowed to observe it”, and that “Embedded reporters won’t be permitted at any point during the exercise”, this is simply not the case. According to a Russia Today report from July 14, 2015, Army Special Operations Command has stated that “it may let several reporters follow a segment of an exercise if it is convenient at some point during the drills”. According to Lieutenant Colonel Mark Lastoria, a spokesman for Army Special Operations Command, his organization is “considering allowing a small number of journalists to view selected portions of the exercise later this summer, but nothing is finalized”. Lastoria also stated that “it is not possible to allow a journalist to travel with Special Operations forces in the field”. Consequently, it appears that state-sponsored journalists will be given a front row seat during the drills, most likely just prior to the execution of domestic terror attacks and an armed insurrection by Texans. 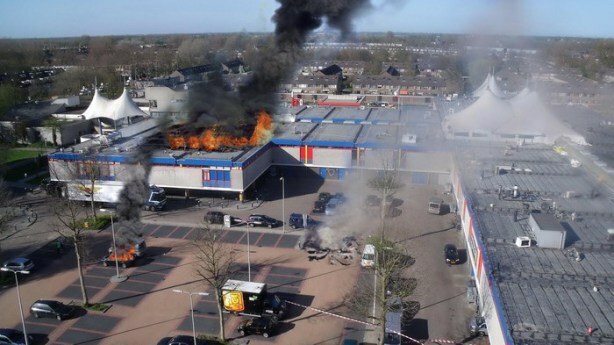 The shocking images of the deadly domestic terror attacks will then be used by the CIA for propaganda purposes, namely to disparage and demonize those who are opposed to JADE HELM 15. 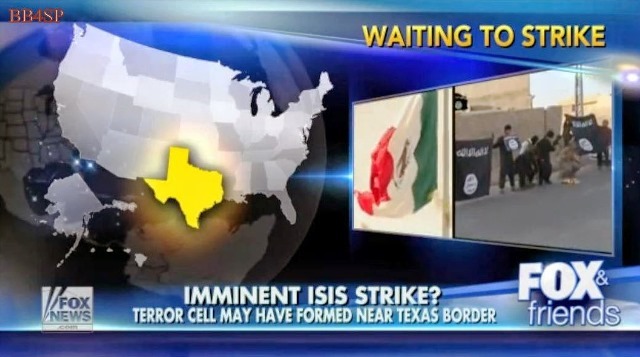 In order to create the necessary narrative for ISIS-related terror attack in Texas during JADE HELM 15, it was reported back on April 14, 2015, that Mexican authorities confirmed that an ISIS terrorist camp is only a few miles away from Texas. Less than a month later on May 3, 2015, an ISIS-related attack was executed on the Curtis Culwell Center in Garland, Texas. The notion of ISIS-related attacks during JADE HELM 15 was ominously foreshadowed by Daily Show host John Stewart on May 4, 2015, when he stated, “So Texas, it appears that you are on the verge of being taken over by ISIS or the United States of America. So you have a choice to make”. Stewart’s words are rather curious considering that he previously stated that “the United States government already controls Texas”. Three days later on May 6, 2015, the Star published a report entitled “Texas Invasion? 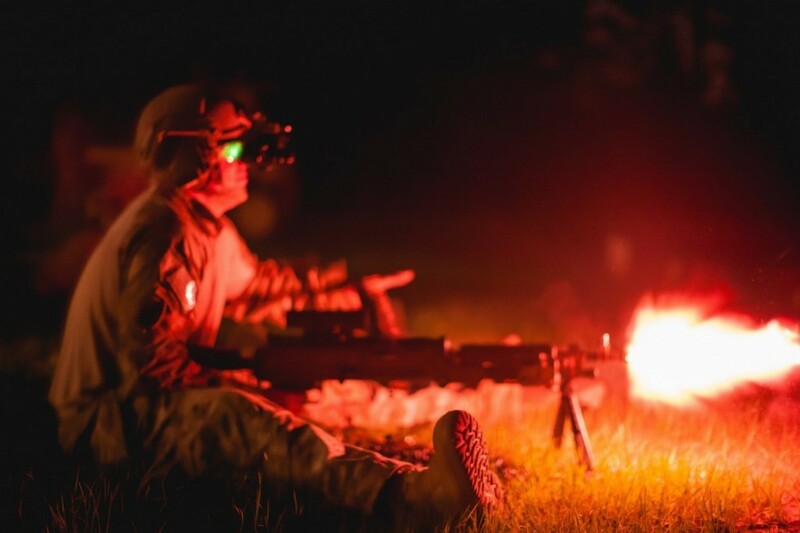 U.S. Army Fights ‘Jade Helm’ Conspiracy Theories” which quoted Robert Goldberg, a professor of history at the University of Utah, who stated that JADE HELM 15 may feature “foreign sleepers lying in wait for activation”. The words “foreign sleepers” is evidently a reference to sleeper cells, most likely related to the state-sponsored terror group known as ISIS. In an LA Times report from May 8, 2015, entitled “Operation Jade Helm 15: Military Training Exercise or Martial Law?”, it was reported that “the Army is preparing to wage a ‘holy war’ along the southern Arizona border”, most likely jihadists in nature. Ten days later on May 18, 2015, the New Yorker published a report entitled “Unclear Dangers” which quoted Texas Representative Louie Gohmert who stated that Texas was labeled “hostile” in JADE HELM 15 because it might “be overtaken by foreign radical Islamist elements which have been reported to be just across our border”. Less than a week later on May 24, 2015, actor and Texan Chuck Norris wrote an op-ed in which he stated that “I do believe, in addition to the largest domestic military training, it is also a display of power (near the southern border) intended for deterrence of enemies like ISIS and other terrorists, who the FBI have already said are present in all 50 states”. Less than 2-weeks later on July 4, 2015, the Washington Post published a report which questioned “whether the Army was bringing in Islamic State fighters”. Lastly, in a Russia Today report from July 14, 2015, it was revealed that JADE HELM 15 “simulates operations against Islamic State”, confirming, albeit in a de facto manner, that the U.S. military will drill for ISIS-related terror attacks. Needless to say, these reports, taken collectively, suggest that ISIS-related terror attacks are planned during JADE HELM 15. Under “What to Expect” in a U.S. Army Special Operations Command report entitled “Request to Conduct Realistic Military Training (RMT) JADE HELM 15”, it was revealed that JADE HELM 15 will result in “Increased aircraft in the area at night”, and that there will be “an increase in vehicle and military air traffic”. Consequently, small airplanes commandeered or hijacked by Special Forces and/or domestic terrorists may be used in 9/11-style terror attacks as the Obama administration attempts to tie so-called white domestic terrorists with Islamic terrorists. In a Washington Post report from March 31, 2015, it was revealed that during JADE HELM 15, Special Forces will launch an operation in which they “will operate covertly among the U.S. public and travel from state to state in military aircraft”. During Operation Counter Jade Helm, which is admittedly being run by Army intelligence officials, 9/11-style attacks may be executed by one of its members who is a “licensed pilot” that “plans on making surveillance flights with his personal aircraft”. Consequently, airplane and helicopter-related attacks are expected in one or more of the 10 states participating in JADE HELM 15. 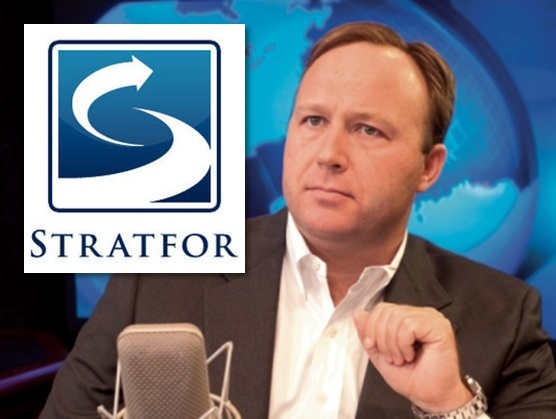 Aside from the fact that Alex Jones and Inforwars are part of STRATFOR, a private intelligence operation based in Austin, Texas, Alex Jones and his minions have been tasked with running propaganda operations on the ground in Texas ahead of JADE HELM 15. As depicted in the Truther.org report entitled “10 Reasons Why Alex Jones Should Be Tried For Treason”, the goal of Alex Jones is to get America to destroy herself the same way that Russia was destroyed under Stalin. This is done by first dividing and then collapsing society upon itself by baiting Americans into a violent revolution against their own police and military. Consequently, in the aftermath of domestic and/or ISIS-related terror attacks during JADE HELM 15, Jones will attempt to bait his listeners into a hot war by claiming that they are being invaded or are under attack. Staged confrontations between Special Forces participating in JADE HELM 15 and members of Operation Counter Jade Helm could result in a made-for-radio scenario in which Jones is able to convince his radio audience to take up arms against the U.S. government. This particular narrative was first identified back on March 19, 2015, when Jones stated that the federal government was preparing to invade Texas. “They’re going to practice breaking into things and stuff. This is going to be hellish,” Jones said. “Now this is just a cover for deploying the military on the streets…This is an invasion…in preparation for the financial collapse and maybe even Obama not leaving office”. Three days later on March 22, 2015, Infowars published a report entitled “Feds Preparing to Invade Texas, List State as ‘Hostile’” which was quickly followed by another report on March 27, 2015, entitled “Beyond Denial: Preparations for Martial Law in America”. Roughly a month later on April 28, Jones warned that the “U.S. 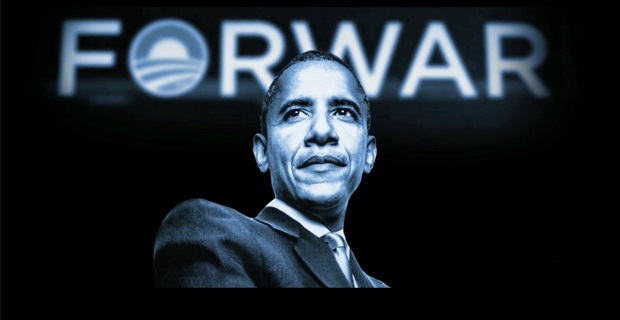 military [is] positioning itself to take over the states and declare martial law”. After the incessant propaganda, Infowars recanted on May 4, 2015, when they published a report entitled “Jade Helm 15 Is NOT a Martial Law Takeover”, drawing even more attention to the notion of a takeover by the Obama administration. Four days later on May 8, 2015, the LA Times reported that Alex Jones’ website Infowars claims it is “detailing the U.S. Army’s plan to wage war on the American people”, a war which will likely be sparked by Jones and his listeners. Back on March 3, 2012, Truthe.org published a report entitled “Is the Assassination of Alex Jones Next?”, suggesting that the staged assassination of Alex Jones may be imminent. Said assassination will likely transpire at some point during JADE HELM 15 when Jones’ Infowars studio comes under attack by Special Forces (i.e., professional terrorists). In order to sell the authenticity of the attack, a few of Jones’ employees will likely be murdered during the attack. By staging a Jones assassination, Jones will become an instant martyr and a legend in the minds of many uninformed Americans who were unaware of his treasonous behavior. In the aftermath of Jones’ assassination, the Infowars crew will likely call on the audience of Infowars to avenge the death of their dear departed leader. While most of Jones’ listeners won’t listen to anybody but the voice but Jones, there are a few listeners that will heed the Infowars call to attack police and military. The goal of the Obama administration is to somehow merge bearded Islamic terrorists with those who fly the Confederate Rebel Flag and root for the Ole Miss Rebels in the American South. These so-called domestic/jihadist terrorists will likely be dubbed “White Al Qaeda”, looking similar to the actors depicted on the hit television show Duck Dynasty. This marriage will give the U.S. government the plausible deniability it needs so that it the wake of domestic drone strikes, it cannot be held responsible for not being able to discern between Islamic terrorists and so-called domestic terrorists. 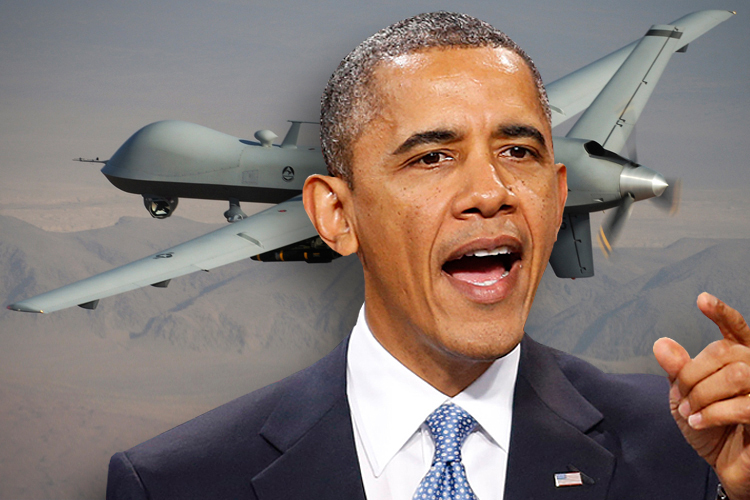 This will ultimately allow the Obama administration to eradicate all of its political opposition with autonomous Predator drones, a preview of which was witnessed back on November 30, 2013, when Paul Walker was assassinated via drone strike in Los Angeles. The notion that Predator drones are the endgame of JADE HELM 15 was ominously foreshadowed by Daily Show host John Stewart on May 4, 2015, when he made a reference to the Predator (and thereby Predator drones) in relation to JADE HELM 15. Stewart stated, “I find it adorable that your governor [of Texas] thinks your state guard can take on the U.S. military; it’s like a little dog growling at a big dog, or an 8-year old dog picking a fight with the Predator”. As previously stated, JADE HELM 15 is a CIA-spawned U.S. military training exercise that is scheduled to take place from July 15, 2015, until to September 15, 2015, encompassing 10 states. In the event that state-sponsored terror attacks and/or a government-related coup takes place during the war game, JADE HELM 15will last indefinitely. The JADE HELM 15 war simulation map was released in March 2015 by U.S. Army Special Operations Command (at the behest of the CIA in Switzerland) in order to provide a tangible motive for an armed insurrection during JADE HELM 15, namely in Texas. In short, the map depicts 7 U.S. states in 4 different colors. Two states are red (the color of the South during the Civil War) and labeled “Hostile” (Texas, Utah and part of Southern California), while two states are blue (the color of the North in the Civil War) and labeled “Permissive” (Colorado, Nevada and part of Southern California). One state is light blue and labeled “Leaning Friendly” (Arizona), while one state is brown and labeled “Leaning Hostile” (New Mexico). Although California is predominantly blue and labeled “Permissive”, it’s the only state which has an “Insurgent Pocket” that is naturally red in color. The distinctive colors and war-like terminology, especially in respect to Texas, was a premediated move by the Obama administration to enrage gun-toting Texans who will predictably become the “Insurgent Pocket” during JADE HELM 15. 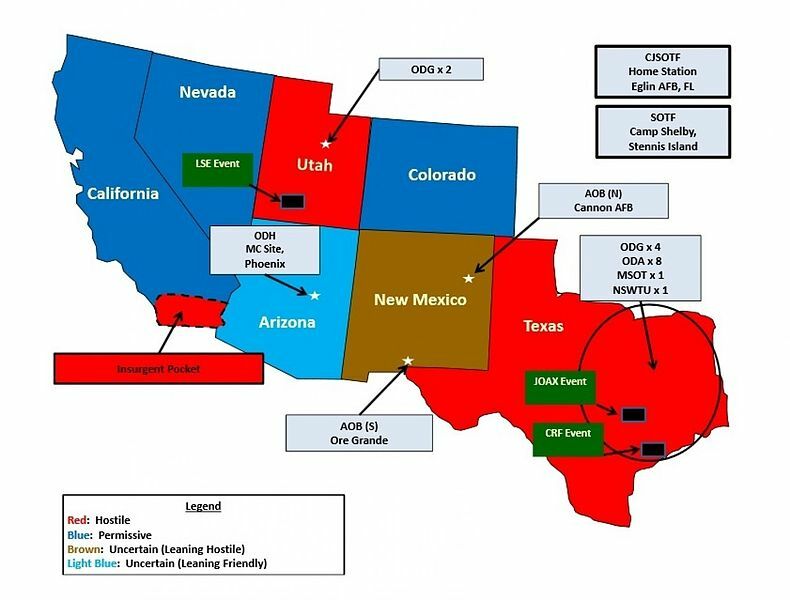 As previously stated, JADE HELM 15 is a U.S. military training exercise scheduled to take place in Arizona, California, Colorado, Florida, Louisiana, Mississippi, Nevada, New Mexico, Texas and Utah. According to the U.S. Army’s Special Operations Command entitled “Request to Conduct Realistic Military Training (RMT) JADE HELM 15”, the unprecedented military operation will take place in remote areas on “private and public land with the permission of the private landowners, and from state and local authorities”. According to reports, JADE HELM 15 will take place in 17 Texas cities: Bastrop/Smithville, Big Spring, Caddo Lake, Caldwell, Christoval, College Station, Dell City, Eldorado, Goliad, Junction, Leakey, Menard, Mountain Home, San Angelo, San Antonio and Victoria. The letter “Q” is the 17th letter in the Roman-English alphabet which is, numerologically speaking, representative of a “coup” (the letter “p” is silent) that will likely transpire in Texas at some point during JADE HELM. Among the 17 Texas cities being targeted during JADE HELM 15, the city of Bastrop has the highest chance of suffering terror attacks and/or a martial law takeover. Firstly, Bastrop is only 33 miles away from Austin, Texas which is coincidentally home to both Infowars and STRATFOR, two private intelligence agencies which are plotting a civil war in America. Although Jones’ private resident is not known, he claims that his home is near a FEMA Camp, one of which is reportedly located in Bastrop. Said FEMA Camp reportedly contains a “prison and military vehicle motor pool”, both of which will likely come under attack at some point during JADE HELM 15. Secondly, Bastrop was home to the only JADE HELM 15 town hall which was attended by a representative of the U.S. military. Consequently, a bull’s eye has been placed on the small Texas town. In a Yahoo News report from July 12, 2015, entitled “U.S. Military Drills Stoke Politics of Suspicion in Texas”, it was reported that rumors of military attacks, martial law and an Obama dictatorship have “brought these fears to a crescendo, particularly in Bastrop”. 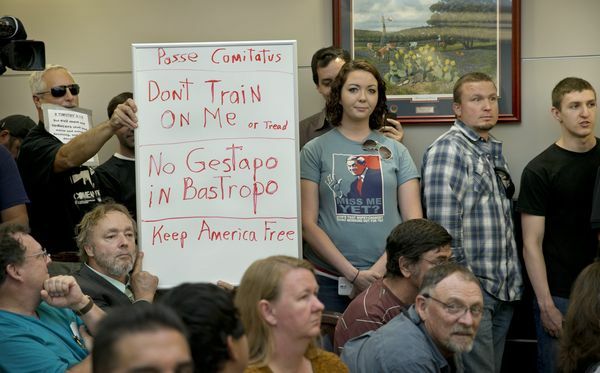 In an online comment about JADE HELM 15, Bastrop resident Josh Munyon stated that, “It’s something that the rest of the country should be worried about. They already have FEMA trains that oddly enough look like the trains that the Nazis used in World War II”. Bastrop gun store owner Troy Michalik stated that “while suspicion of the drills has run rampant among customers of Crosshairs Texas, the town’s only gun store, sales there have not increased”. “I don’t think we are going to wake up next week and find tanks and roadblocks and martial law, but at the same time, that does not mean that we should not be diligent and vigilant and keep an eye about what is going on”. Thirdly, Bastrop will be the central location during Operation Counter Jade Helm which is admittedly being run by U.S. Army intelligence officials. According to a July 13, 2015, report from the Guardian, the man who will run Operation Counter Jade Helm in central Texas is one Eric Johnston, a former U.S. Marine. Johnson is quoted as saying, “We are not far-wing, ‘Oh God, arm ourselves, get in camouflage, block the streets…We’re doing more of a neighborhood watch kind of thing. We are going to find a central location and set up an area and just cruise the streets, drive up and down the highway through Bastrop …most of us are legal concealed-carry folks, but we’re not going to be running up and down the street with automatic rifles”. Translation: Bastrop is going to be flooded with members of Operation Counter Jade Helm who will predictably execute attacks on JADE HELM 15 participants with automatic rifles while dressed in camouflage. Naturally, this will lead to hot ground war that will eventually morph into a new civil war in America. Based on breaking news, it appears the Alamo Mission in San Antonio, Texas will suffer an attack and/or siege at some point during JADE HELM 15. The Alamo is most famous for the Battle of the Alamo during the Texas Revolution which has since inspired the phrase “Don’t mess with Texas”. Back on May 17, 2015, the Hartford Courant‍ published a report which stated that JADE HELM 15 is “an international operation aimed to seize people’s guns” and that “Jade Helm 15 is an international operation (UN vehicles have been spotted) whose goal is to seize everyone’s guns”. Roughly 2-months later on July 4, 2015, the Washington Post published a report which stated that JADE HELM 15 is an Obama plot to “confiscate their guns and ultimately establish martial law” and that some people have asked “if the United Nations would be involved, and whether the military was planning to relieve local gun owners of their firearms”. 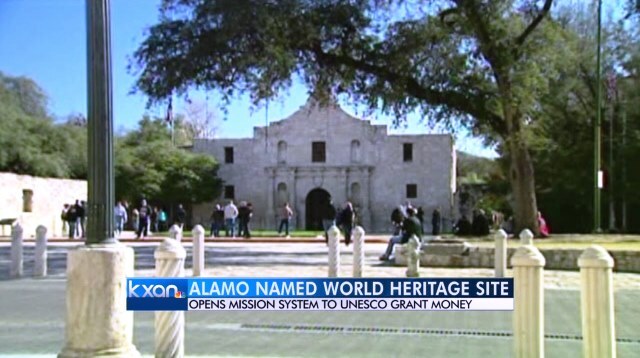 In order to provide a timely motive for an attack on the Alamo, it was reported on July 6, 2015, that UNESCO has officially designates the Alamo a ‘World Heritage’ site. UNESCO is part of the United Nations, an organization which is universally hated in Texas. In order to draw unprecedented media attention to the Alamo just prior to a JADE HELM 15-related attack, a state-sponsored protest was staged outside the Alamo on July 11, 2015. Protesters claimed that the Alamo’s designation as a World Heritage site could be the “prelude to a United Nations takeover of Texas’ most sacred landmark”. Two days prior on July 4, 2015, the Washington Post published a report which stated that if an invasion does occur, the “United Nations would be involved”. Roughly a week later on July 12, 2015, Yahoo News published a report which quoted Louie Gohmert, a Republican Congressman from Texas, who stated that, “When a UN agency named the Alamo, the location of a famed 1836 battle in the fight for Texas Independence, a World Heritage Site earlier this month, some Texans saw the move as a prelude to an international takeover”. Needless to say, these reports, taken collectively, suggest that the Alamo may be a staging ground for violence by Texans who oppose gun confiscation and the UN takeover of the Alamo. The Bank for International Settlements (BIS) in Basel, Switzerland is the financial backbone of the CIA in Switzerland which secretly funds its black operations around the world, JADE HELM 15 and Operation Counter Jade Helm included. 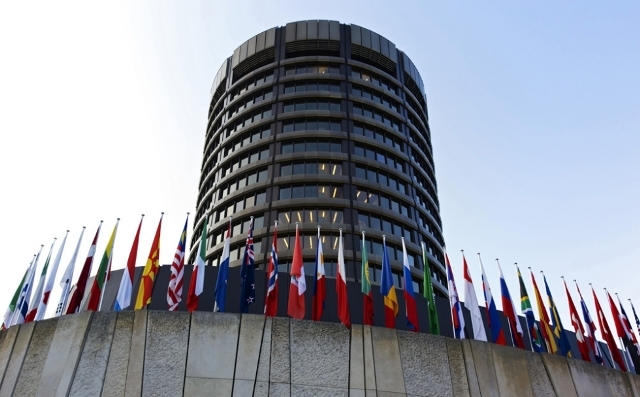 In short, the BIS funds 60 central banks which are collectively responsible for 95% of the world’s GDP, making it the sole progenitor of the world’s fiat money supply. One of these central banks is the Federal Reserve Bank of the United States which funds the U.S. government and thereby its nefarious military exercises. Consequently, monies allocated by the Obama administration for JADE HELM 15 were directly wired to the Federal Reserve from the BIS in Switzerland. In the aftermath of a new civil war in America which culls hundreds of millions of people, the Obama and the United States will take the blame for what the CIA in Switzerland is ultimately responsible for. In order to bring about civil war in America, the state of Texas will be invaded by Special Forces (i.e., professional terrorists) during JADE HELM 15. 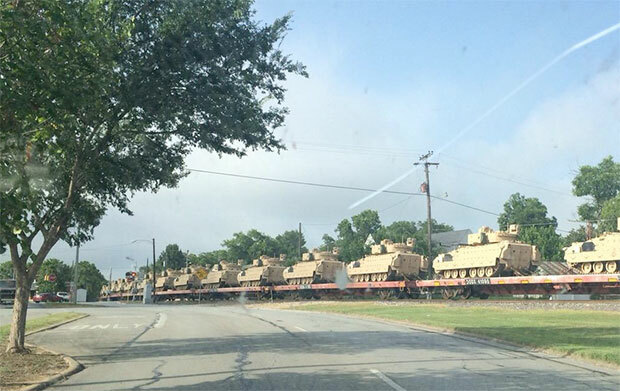 In order to bait the citizenry of Texas to attack JADE HELM 15 soldiers, a number of propaganda reports have stated that a full-scale military invasion of Texas is imminent, providing motive for retaliatory revenge attacks during the 2-month military exercise. The Texas invasion narrative was first identified in an Army Times report from March 23, 2015, entitled “Conspiracy Groups Question USASOC Mission in Texas” which stated that the drill “will train the U.S. military to suppress American citizens rebelling in a coming military coup or civil war”. Two months later on May 4, 2015, Daily Show host John Stewart stated that “You know who’s calling it a ‘Texas takeover’? Lone star lunatics. Dallas d**ks, Houston a**holes. There’s no Texas takeover. The United States government already controls Texas…..just borrow a textbook from a neighboring state — it’s all in there…So Texas, it appears that you are on the verge of being taken over by ISIS or the United States of America. So you have a choice to make”. A day later on May 5, 2015, Bloomberg News published a report which quoted U.S. Representative Louie Gohmert, a Republican from the 1st District of Texas, and Vice Chair of the Judiciary Subcommittee on Crime, Terrorism and Homeland Security. Gohmert voiced his concerns, stating that his “office has been inundated with calls referring to the Jade Helm 15 military exercise“, namely with concerns that “the map of the exercise needs to change, the names on the map need to change, and the tone of the exercise needs to be completely revamped so the federal government is not intentionally practicing war against its own states”. 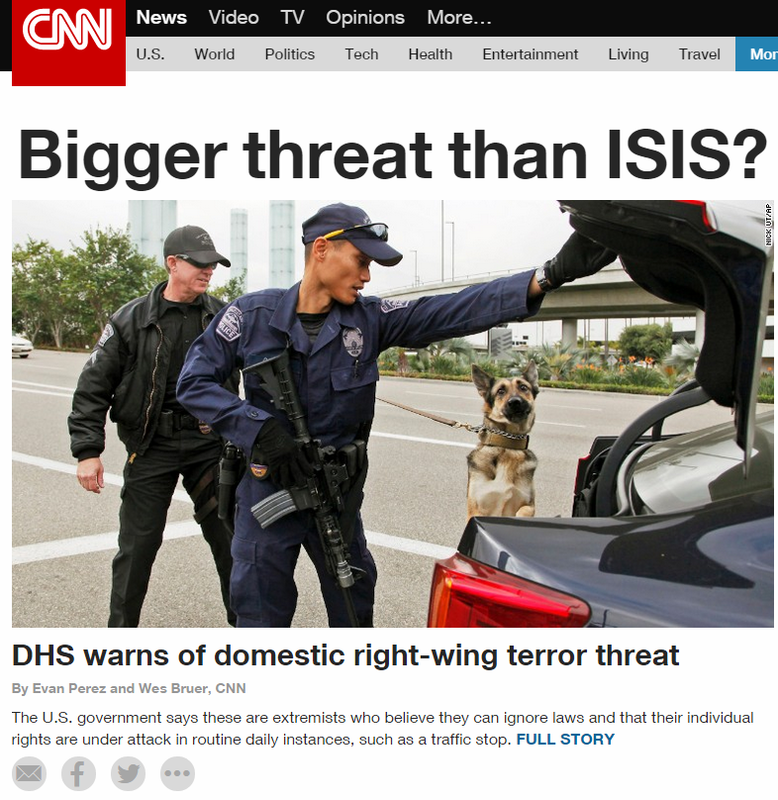 That same day, May 5, 2015, CNN published a report entitled “Pentagon: No Texas Takeover Plot” which used the phrase “Don’t mess with Texas, even if it’s just an exercise”. The report quoted Pentagon spokesman, Colonel Steve Warren who stated that “Jade Helm is a long planned and coordinated exercise” and that “We are not taking over anything”. The report also quoted Texas Governor Abbott who stated that he has been “provided assurances,” by the Defense Department that “there is nothing for the public to worry about”. Three days later on May 8, 2015, the aforementioned Gohmert published an op-ed report which stated that “When the federal government begins, even in practice, games or exercises, to consider any U.S. city or state in ‘hostile’ control and trying to retake it, the message becomes extremely calloused and suspicious”. That same day, May 8, 2015, the LA Times published a report which quoted U.S. Defense Secretary Ashton Carter who stated in response to the question “Is the U.S. military planning to overtake Texas”, a prompt “No”. Five days later on May 13, 2015, a survey of registered Republicans by Public Policy Polling found that 32% thought that “the Government is trying to take over Texas“, and that “half of all Tea Party supporters are concerned with an imminent Texas invasion”. Four days later on May 17, 2015, the Hartford Courant‍ published a report entitled “Thank You Texas and Good Luck with the Invasion” which stated that JADE HELM 15 is a “psychological operation aimed at getting people used to seeing military forces on the streets” so they do not realize when an invasion actually takes place. A day later on May 18, 2015, the New Yorker published a report which stated that “To numerous observers, its meaning is clear: [JADE HELM 15] is a plan for a U.S. military takeover of Texas and beyond, or, perhaps, a rehearsal for civil war and the enforcement of martial law”. Lastly, 6-days later on May 24, 2015, actor and Texan Chuck Norris wrote an op-ed in which he stated that “I never ever said that that seven-state U.S. military operation intended to take over Texas”, drawing even more attention to the possibility of a government invasion of Texas. Needless to say, these reports, taken collectively, suggest that JADE HELM 15 is more than a U.S. military exercise; rather, it is the premeditated invasion of Texas by the U.S. military. The endgame of JADE HELM 15 is the suspension of the 2016 U.S. Presidential Election which is currently slated to take place on Tuesday, November 8, 2016. The notion that President Obama is behind JADE HELM 15 for political reasons was first identified back on May 7, 2015, when actor and Texan Chuck Norris stated that “those who are pulling the strings at the top of Jade Helm 15 [are] back in Washington”, and that JADE HELM 15 is “more than a military exercise”. Roughly 2-weeks later on March 19, 2015, radio host Alex Jones stated in respect to JADE HELM 15 that “This is an invasion…in preparation for the financial collapse and maybe even Obama not leaving office”, suggesting, albeit in a de facto manner, that an Obama dictatorship is imminent. Roughly 3-months later on July 4, 2015, the Washington Post reported that Obama will use JADE HELM 15 to “cancel the 2016 presidential elections and extend his term in office”. Roughly a week later on July 12, 2015, the New York Times reported that JADE HELM 15 will enable Obama to “suspend the Constitution and cling to office indefinitely”. That same day, July 12, 2015, Yahoo News reported that JADE HELM 15 will lead to martial law, U.S. troops patrolling chaotic streets, and a dictatorship under President Barack Obama”. Also on July 12, 2015, Yahoo News published a report which quoted Rosalie Howerton, a 74-year-old retired nurse from Tyler, Texas, wrote the governor of Texas in respect to JADE HELM 15. “I don’t trust Obama”, she said, “I think he is looking toward calling martial law to stop the next election from taking place”. Needless to say, these reports, taken collectively, suggest that JADE HELM 15 will bring about the suspension of the 2016 U.S. Presidential Election, resulting in the dictatorship of one Barack Hussein Obama. The endgame of JADE HELM 15 is the implementation of martial law, most likely in the aftermath of domestic and/or ISIS-related terror attacks which spark a civil war in Texas. The notion that JADE HELM 15 is cover for the implementation of martial law was first identified back on April 30, 2015, when Bloomberg published a report entitled “Whoa, If True: ‘Operation Jade Helm 15’ Lays Groundwork for Martial Law”. The report quoted White House press secretary Josh Earnest who stated, “In no way will the constitutional rights or civil liberties of any American citizen be infringed upon while [JADE HELM 15] is being conducted”. Roughly a week later on May 6, 2015, Bloomberg published another report which stated that the “U.S. Army is preparing for “modern-day martial law” in Texas. That same day, May 6, 2015, the New York Times published a report that which stated that JADE HELM 15 is “part of a secret plan to impose martial law”. Also on May 6, 2015, the Star published a report on May 6, 2015, which stated that JADE HELM 15 is really “a sinister plot by Obama “take over the state and impose martial law”. Two days later on May 8, 2015, the LA Times published a report entitled “Operation Jade Helm 15: Military Training Exercise or Martial Law?” which stated that the exercise is “preparation for the imminent declaration of martial law”. Roughly a week later on May 17, 2015, the Hartford Couranrt published a report which stated that the U.S. military intends to “remove key political figures who might oppose the institution of martial law.” A day later on May 18, 2015, the New Yorker published a report which stated that JADE HELM is “a rehearsal for civil war and the enforcement of martial law”. Roughly 2-months later on July 4, 2015, the Washington Post published a report which stated that JADE HELM 15 is an Obama plot to “confiscate their guns and ultimately establish martial law”. Roughly a week later on July 10, 2015, Russia Today published a report which stated that “martial law [is] about to be declared” and that “martial law goes into effect this summer”. Two days later on July 12, 2015, Yahoo News published a report which stated that JADE HELM 15 will bring about an “orchestrated financial crisis will lead to martial law”. A day later on July 13, 2015, the Guardian published a report stating that JADE HELM 15 was “the prelude to martial law”. Roughly 24-hours later on July 14, 2015, Russia Today published a report which stated that “Texans will be either forced to endure martial law”. Needless to say, these reports, taken collectively, suggest that JADE HELM 15 is cover for the installation of martial law in America, namely in Texas. The endgame of JADE HELM 15 is gun confiscation which will naturally cause a majority of Americans to take up arms against the Obama administration which is widely perceived as being an unconstitutional administration. The notion that JADE HELM 15 is cover for the implementation of gun confiscation was first identified back on May 6, 2015, when the New York Times stated that JADE HELM 15 is “part of a secret plan to […] take away people’s guns”. The report also quoted Texas Republican Representative Louie Gohmert who stated that the Obama administration believed that those who “cling to guns or religion” are a threat to the Obama administration. Roughly 2-weeks later on May 17, 2015, the Hartford Courant‍ published a report which stated that JADE HELM 15 is “an international operation aimed to seize people’s guns” and that “Jade Helm 15 is an international operation (UN vehicles have been spotted) whose goal is to seize everyone’s guns”. Roughly 2-months later on July 4, 2015, the Washington Post published a report which stated that JADE HELM 15 is an Obama plot to “confiscate their guns and ultimately establish martial law” and that “the military was planning to relieve local gun owners of their firearms”. Roughly a week later on July 10, 2015, Russia Today published a report which stated that JADE HELM 15 will result in “mass arrests [and] gun confiscations”. Two days later on July 12, 2015, the New York Times published a report which stated that JADE HELM 15 would result in “citizens’ guns [being] confiscated”. A day later on July 13, 2015, the Guardian published a report which stated that JADE HELM 15 would result in Obama “confiscating their guns”. Needless to say, these reports, taken collectively, suggest that JADE HELM 15 is cover for gun confiscation in America, namely in Texas. The endgame of JADE HELM 15 is civil war in America. The notion that JADE HELM 15 is cover for the implementation of martial law was first identified back on March 23, 2015, when the Army Times published a report which stated that JADE HELM 15 “will train the U.S. military to suppress American citizens rebelling in a coming military coup or civil war”. Roughly 2-months later on May 18, 2015, the New Yorker published a report which stated that JADE HELM is a “rehearsal for civil war” and that “it’s ground zero in an incipient civil war”. Roughly 6-weeks later on July 12, 2015, Yahoo News published a report which quoted Louie Gohmert, a Republican congressman from Texas, who stated that “certain states may start another civil war“. Needless to say, these reports, taken collectively, suggest that JADE HELM 15 is cover for a new civil war in America that will predictably be started in Texas. Then notion that civil war in America is imminent is corroborated by an upcoming Marvel Comics movie ominously entitled “Captain America: Civil War” (2016). Although the film is not scheduled to be released until May 16, 2015, an unofficial trailer was released at Comic-Con on June 5, 2015, just prior to the start of JADE HELM 15. The movie was reportedly filmed on a set in Downtown Atlanta which was targeted by the Union Army during the Civil War. In 1864, General William T. Sherman burned Atlanta to the ground during his “March to the Sea,” making Atlanta the only major American city to ever be destroyed by war. In a July 14, 2015, report from Business Insider entitled “Captain America: Civil War – Everything You Need to Know”, it was revealed that Captain America and Crossbones will “lock horns in Civil War in a battle that will take place probably in Africa”, an apparent reference to the allegedly Kenyan-born Obama. The Captain will reportedly be joined by the Black Widow, a possible reference to Michelle Obama. In the comic book, it’s “Crossbones who assassinates Captain America once the war is over”, an apparent reference to the fact that America will be no more post-civil war. The report goes on to state that the “…war will rage on following the Superhuman Registration Act”. The Superhuman Registration Act is an apparent reference to FEMA Camps where those deemed a threat to the system will be exterminated while all others will be forced to register, possibly via an RFID chip. The report also states that “One of the reasons why the Superhuman Registration Act created a rift between the heroes was mainly due to the fact that not many of them were willing to reveal their true identities…The rift is understandable as no one wants his family or loved ones to be harmed”. Translation: American families will be forced to turn in gun owners who will predictably be labeled “domestic terrorists” by the U.S. government. Lastly, two days before JADE HELM 15 commenced, TMZ published a report entitled “Kim Kardashian Declares Civil War …North Way Better Than South!”. The propaganda report stated that “Kim Kardashian just went off on the South … declaring North the greatest direction of them all — though she’s clearly biased”. The report also stated that “KK wasn’t breaking down the Battle of Gettysburg” when she was talking to Freemason tool Shaquille O’Neal on his podcast about the public pressure to name their second baby “South West”. Kardashian stated that all of the direction names are all “lower” directions. Although only conjecture, it’s possible that Kardashian named her baby North specifically for propaganda purposes prior to a new civil war in America. It is imperative to not that likely many celebrities, Kardashian is an intelligence minion who routinely performs publicity stunts in order to create mass distractions. The endgame of JADE HELM 15 is the opening of Nazi-like FEMA concentration camps which have been built for the wholesale slaughter of the American public. Yes, there are concentration camps located across the United States, a notion which has been confirmed by multiple mainstream and alternative news sources. Bard-wire fences facing inward, human transport rail cars, mass coffins, and human incinerators reminiscent of Nazi Germany’s concentration camps are all present at FEMA facilities across America. When these camps will open for business is not known, but JADE HELM 15 is the optimal time. The notion that the war game is cover for the opening of FEMA camps was first identified back on March 23, 2015 in an Army Times report which stated that JADE HELM 15 would prepare troops to “throw citizens in FEMA camps,” and that there are allegations that “FEMA ‘death domes’ popping up across Texas“, purportedly to “house captured American insurgents”. Roughly 6-weeks later on May 6, 2015, the New York Times published a report which stated that “shuttered Wal-Mart stores would be used for “FEMA processing camps“. Roughly 2-weeks later on May 17, 2015, the Hartford Courant‍ published a report which stated that the U.S. military “plans to round up political dissidents” and “remove key political figures”, plans eerily reminiscent of Nazi Germany. Roughly 2-months later on July 10, 2015, the Houston Chronicle published a report which stated that JADE HELM is raising “fears [about] the imminent opening of concentration camps”. 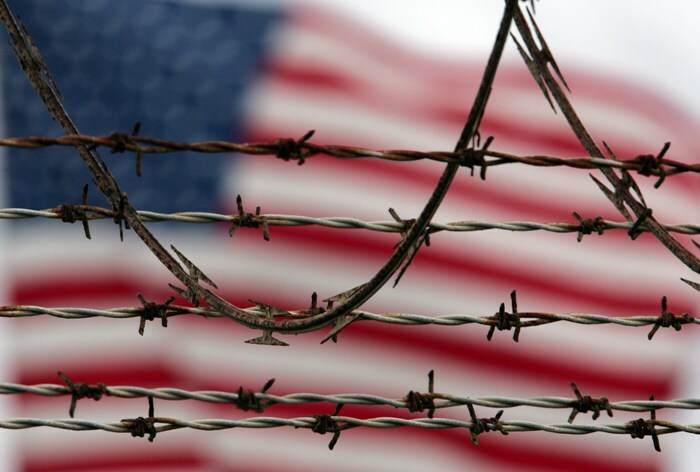 That same day, July 10, 2015, Russia Today published a report which stated that JADE HELM 15 will feature “deportations to FEMA “internment camps”. Two days later on July 12, 2015, the New York Times published a report which stated that “Political opponents of President Obama will be rounded up and herded into detention centers”. Also on July 12, 2015, Yahoo News published a report which quoted a Bastrop, Texas resident Josh Munyon who stated that “They already have FEMA trains that […] look like the trains that the Nazis used in World War II”. A day later on July 13, 2015, the Guardian published a report which stated that JADE HELM 15 is a prelude to “locking innocent Americans in internment camps”. A day later on July 14, 2015, Russia Today published a report which stated that Texans may be “bundled into concentration camps”. Needless to say, these reports, taken collectively, suggest that JADE HELM 15 is for the cover for the opening of Nazi-like FEMA concentration camps which will cull millions of Americans, namely in Texas.